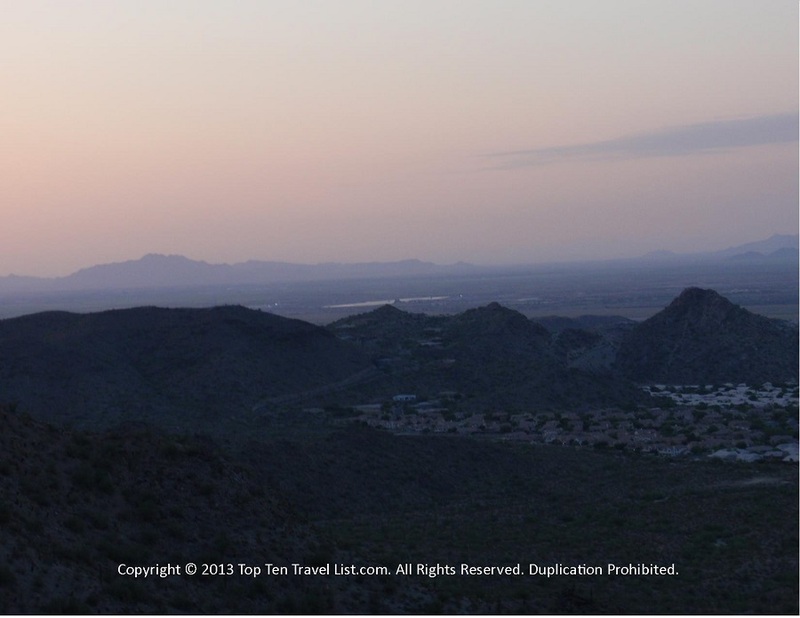 Hiking Hotspot: Camelback Mountain in Phoenix, Arizona - Top Ten Travel Blog | Our experiences traveling throughout the US. 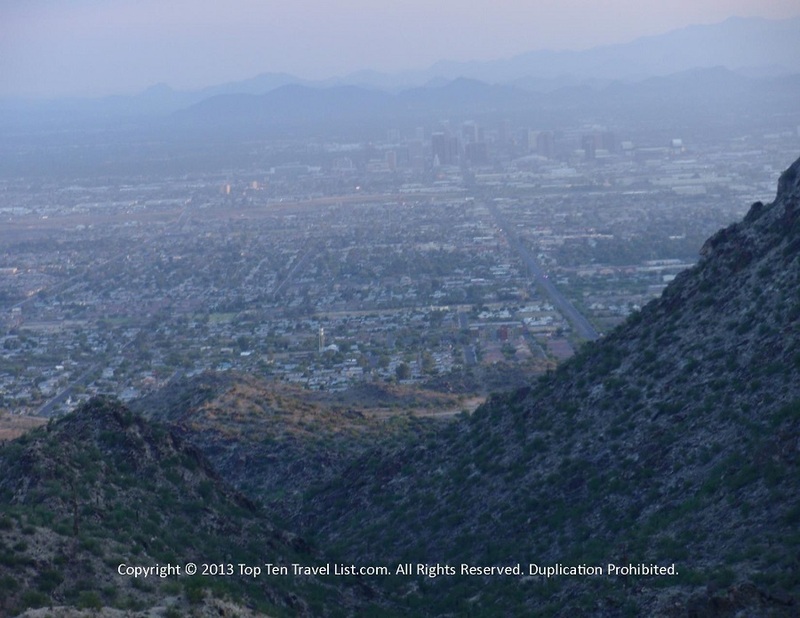 Camelback Mountain is a challenging hike in Phoenix, Arizona. I love the idea of having a hiking area in the middle of an urban city; it’s a great way to get out and get some exercise in at the beginning or end of the day. 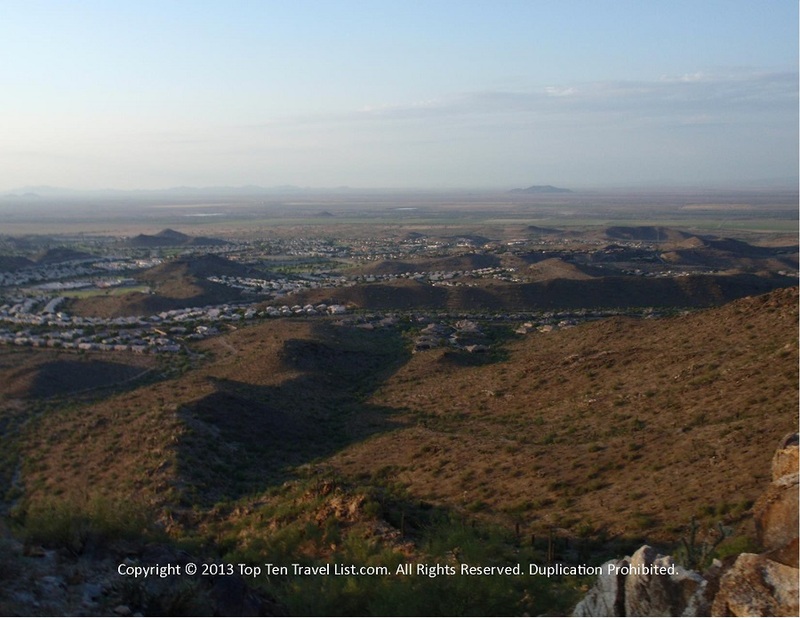 This popular recreational area within Phoenix was suggested to us by a family member while vacationing in the area. I absolutely loved this hike; a fabulous workout with a great uphill climb. 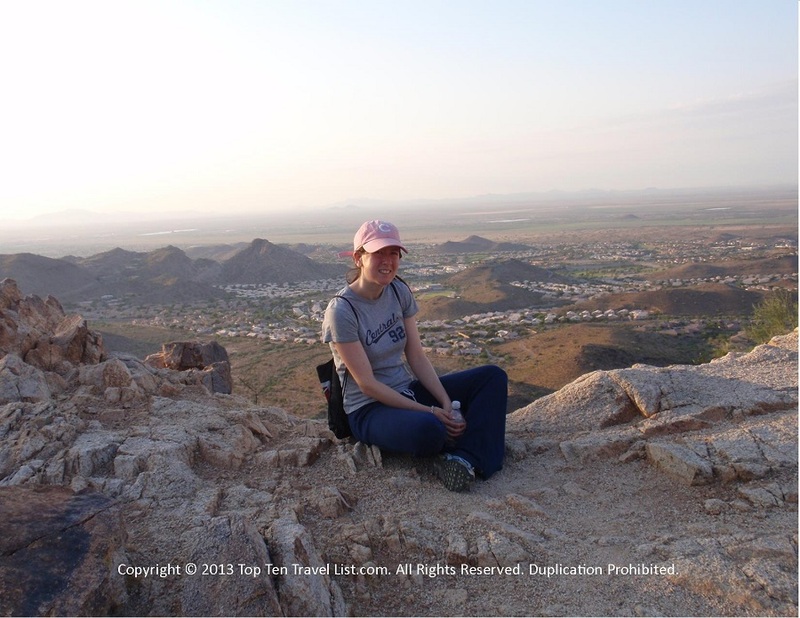 I prefer desert hiking as the peaceful serenity brings you closer to nature. There are 2 main trails here, The Echo Canyon and The Cholla Trail. The Echo Canyon hike is a little over a mile each way, which makes it great for a weekend morning workout (before it gets too hot!). 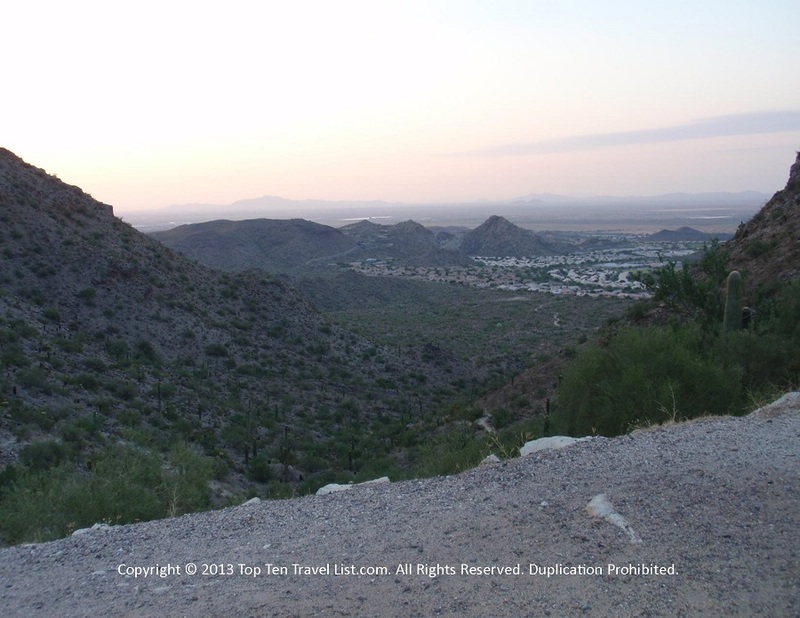 The views of Phoenix and the surrounding mountains are amazing. 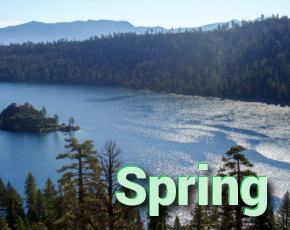 Whether you are a local or tourist, get out there and enjoy a little bit of time away from the city. 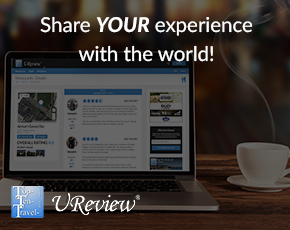 I know I will be back on my next visit! 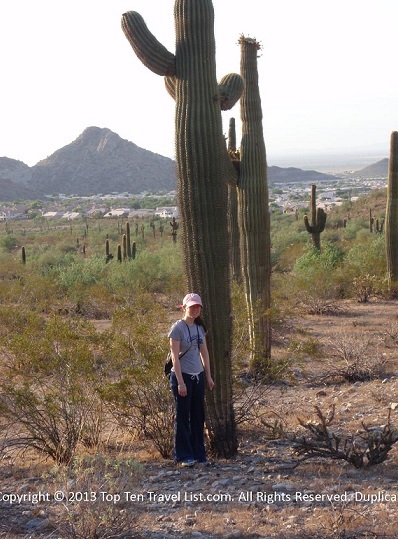 Bring with a camera; there are lots of great photos to take of the city, cactuses, mountains, etc.